Issue: Peter, Aidan and Adrian are partners in an accounting firm. There is a partnership agreement which states that each partner may enter into contracts worth up to $ 10 000, but that any contract in excess of that amount requires the prior agreement of all partners. Peter and Aidan are away doing an audit when Adrian sees an advert for a set of accounting journals being sold by a local accountant, Tom, who is retiring. The set would cost in excess of $ 25 000 if all the back issues were bought from the publisher, so Adrian thinks that the asking price of $ 15 000 is very good, and he agrees to buy them for the firm. He also decides that because he studied surveying before he studied accounting, the firm would make money if it branched out into surveying, and so she buys a set of surveying instruments for $ 8 000 on behalf of the firm from Edgar. When Peter and Aidan return they are furious to find out what Adrian has done and refuse to accept delivery of the journals or the surveying equipment or to pay for them. Law: It can be said from the above case that the action that was taken by Adrian was in the best interest of the partnership. The main objective of the partnership was to start an accounting firm. The orders that were made by Adrian was in line with the thinking that the orders will help their business as he also has the knowledge of surveying. But the main problem is that the Adrian did not consult his partners Peter and Aidan before taking the decision. The main reason for which could be that Peter and Adian were outside when the decision to purchase the accounting journals and the surveying equipment was taken. As per the Partnership Act of 1963, that all the partners in a firm which is not a limited partnership will be liable for all the debts and the purchases that has been done by the company or any obligations which the company have during the period in which the individuals are running the company as a partners. This section is also applicable even after the death of the partner, his/her estate will be used to repay the debts and the obligations which has been incurred by the company when the dead partner was alive and was member of the partnership. But, only in case of the limited partnership the general partners are liable for the obligations and debts of the company during the time period when the general partner was the member of the partnership. If in this case the partnership between the Peter, Aidan and Adrian was limited partnership, then the other partners of the company will not have been liable for the actions that have been taken by Adrian. But the general partners are liable for the debts that have been taken for the company. In case the partnership has been unlimited, than in that case the partners are liable to pay for the debts incurred for the company except for the limited partners. Application: In this case since Adrian died not consulted other partners before the decision was taken thus she will not get the right for the transaction. However from the case it is evident that the main purpose of purchasing the journals and the surveying equipment was to enhance the services of the partnership in the provision of the accounting services. According to this case the journals and the surveying equipment were a fine addition to the business. Thus this presents the case of the liability of the partners brought by the actions of the other partner. As per the Partnership act 1963 (s16), all the partners are liable for the actions that has been taken by the other partners of the firm till they are the members of the firm. As per the said section the liability will hold true regardless of the fact that the actions that were taken by the other member of the partnership is right or wrong. Though only the limited partners are excluded from any such liability. Thus in this case all the partners are liable to pay for the contract that has been signed by the other general member of the partnership, i.e Peter and Aidan has to pay for the purchases that has been made by Adrian. Issue: Richard was employed selling slimming products in Victoria for Nu-Slim Pty Ltd from 2008-13. A term of his contract was that if he should leave Nu-Slim, he could not sell slimming products' in Victoria for three years. In 2014 he registered a company called Fat-Away Ltd. Richard owns 99% of the shares. The other 1% is owned by his sister, Frances, whom he elected as Managing Director and CEO. Fat-Away Pty Ltd operates out of Melbourne and sells slimming powder throughout Victoria. All sales are signed by Frances on behalf of of Fat-Away Pty Ltd. Frances also signs a contract on behalf of the company, taking out a loan of $ 500 000 from United Bank in 2014 as start-up capital. The company did well during 2014, 2015 and the first half of 2016, but in July 2016 was not able to repay a loan instalment of $ 40 000 owing to the bank. Richard comes to you for advice after receiving two letters: One from Nu-Slim Pty Ltd requiring him to cease the operations of Fat-Away Pty Ltd in Victoria, the other from United Bank Ltd threatening to sue him for $ 40 000. Law: It can be said from the above case that the action that was taken by Frances was in the best interest of the company. The main objective of thecomp0any was to sell the slimming powder throughout Victoria. The orders that were made by Frances was in line with the thinking that the orders will help their business as he was asked to sign the contracts on behalf of the company. The main problem started when Frances signs a contract on behalf of the company, taking out a loan of $ 500 000 from United Bank in 2014 as start-up capital. Though the in the year 2014 and 2015 they were able to repay the instalment of the loan amount but they were not able to repay a loan instalment of $40,000 to the bank. As per the Partnership Act of 1963, that all the partners in a firm which is not a limited partnership will be liable for all the debts and the purchases that has been done by the company or any obligations which the company have during the period in which the individuals are running the company as a partners. This section is also applicable even after the death of the partner, his/her estate will be used to repay the debts and the obligations which has been incurred by the company when the dead partner was alive and was member of the partnership. But, only in case of the limited partnership the general partners are liable for the obligations and debts of the company during the time period when the general partner was the member of the partnership. Since in this company Richard is major share holder thus he has the liability to repay the loan amount to the bank. Simultaneously Richard was also under an agreement with the Nu-Slim Pty Ltd that after leaving the company Richard will not be able to sell slimming products in Victoria. Thus Richard has also violated the law in this case as he was bound by the clause in the contract that he will not sell the slimming products for at least three years after he has left the company. 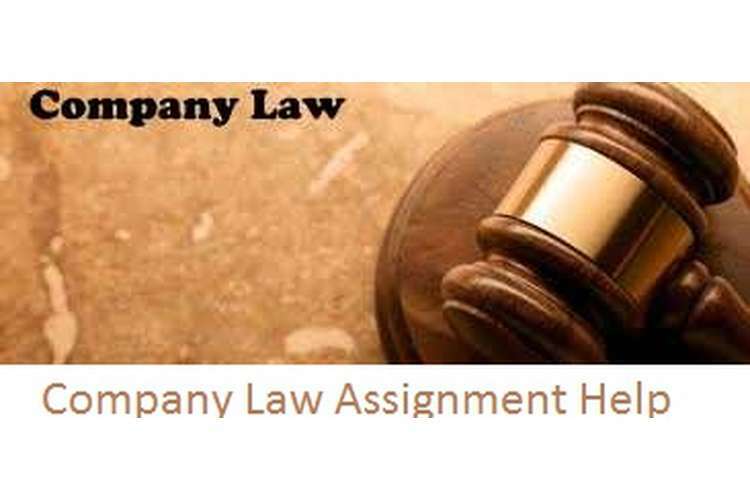 Application: The partnership act of 1963 is applicable in this case and also the corporation law is applicable as the loan was taken by the company. Thus Richard is bound by law in both the cases and as per the law he should not have sell his products in the Victoria region till the completion of the year 2016. When a party to a contract has breached a contract it will be important to determine whether the breach has been of condition or of a warranty. The court relates how important the terms in the contract for the aggrieved party. In case of the breach of contract parties try to enforce their terms and try to recover money from the other party for the financial losses that are caused due to the alleged breach. Under the law there are three main remedies for a breach of contract which are: damages, specific performance and cancellation or restitution. The defenses against the breach of contract can be made on the basis of the number of vitiating factors which involves some king of unfair dealing by one of the parties. These factors are: Misleading or the deceptive conduct, mistake, duress, undue influence, unconscionable conduct, unfair terms and illegality. Thus the law applicable in this case is contractual liability.Tthe claim that the breach of contract took place due to deceptive conduct and it may provide contractual remedies applicable under the Competition and Consumer Act 2010 (Cth) (previously the Trade Practices Act 1974 (Cth)). (1) A person must not, in trade or commerce, engage in conduct that is misleading or deceptive or is likely to mislead or deceive” (Australiancontractlaw.com, 2016). Thus it will be advisable that Richard should immediately seize his operations in Victoria and apply for some time in the bank for the repayment of the loan.